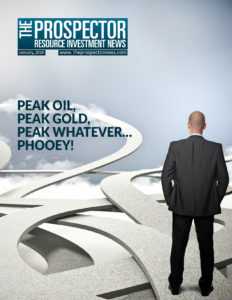 04 Peak Oil, Peak Gold, Peak Whatever … Phooey! Non-renewable natural resources (e.g., industrial metals, precious metals, agricultural minerals, industrial minerals and rocks, energy fluids, and energy solids) are extracted from Earth’s surface and its depths. More than likely 2018 marked the end of the seven-year cyclical bear market in silver, within the context of the ongoing secular precious metals’ bull run. Since his near-Apocalyptic pronouncement early last October (his opinion at the time that the Federal Reserve was “nowhere near” a so-called neutral monetary policy stance) Chairman Jay Powell and some of his cohorts have had the markets on quite a roller coaster ride. Other than being the country where Cuban revolutionary Che Guevara was killed, most North Americans know little about Bolivia.